My trip to Banff is now confirmed. 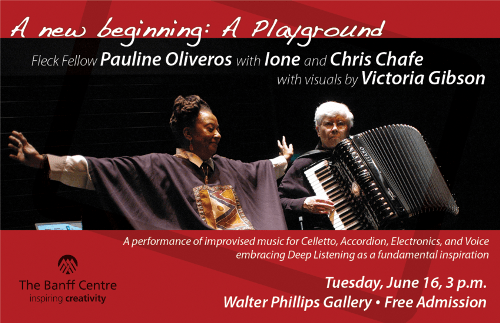 I will be riding my trusty Yamaha FJ 1200 to Banff to meet with Pauline Oliveros and Ione to document their residency. My goals include completely documenting the current residency with audio/video/still images and to work on the material that was recorded at the Fort Worden Cistern and the Seattle concert to produce streaming promotional material.